I just finished writing a book on the impact blockchains will have on business. Those authors that say it’s a long and painful process to write a book? They’re right. The most difficult part was finding focused time away from the core work that I love (I help execs with the thoughtful adoption and communication of emerging technology, particularly blockchains, and am a single mom to two kids). This was especially true because the atmosphere of the blockchain space is frenzied and fast-moving — the antithesis of the quiet, contemplative space that’s conducive to big-picture thinking. And this is exactly why I was compelled to write. How will all this impact us? How do we prepare for change?How do we want to shape the future? It starts with a lack of understanding about what this technology is even capable of. The more involved I got in the blockchain space, the more clear it became that there’s an extreme gap between what a community of “insiders” — predominantly technologists, investors, and financial services execs — understand about what’s coming and what the rest of the world knows. Let’s face it: blockchains are staggeringly complex, disarmingly raw, and complicated by a seemingly distracting (yet crucial) tie to cryptoassets. Yet they hold the seeds of deep transformation that could equal — or perhaps even eclipse — what we have seen in the last decade. Their true value is further obscured by breathless, frantic coverage in the news. Together, all these factors create a formidable barrier. This barrier is dangerous. I wrote to help more people break through. 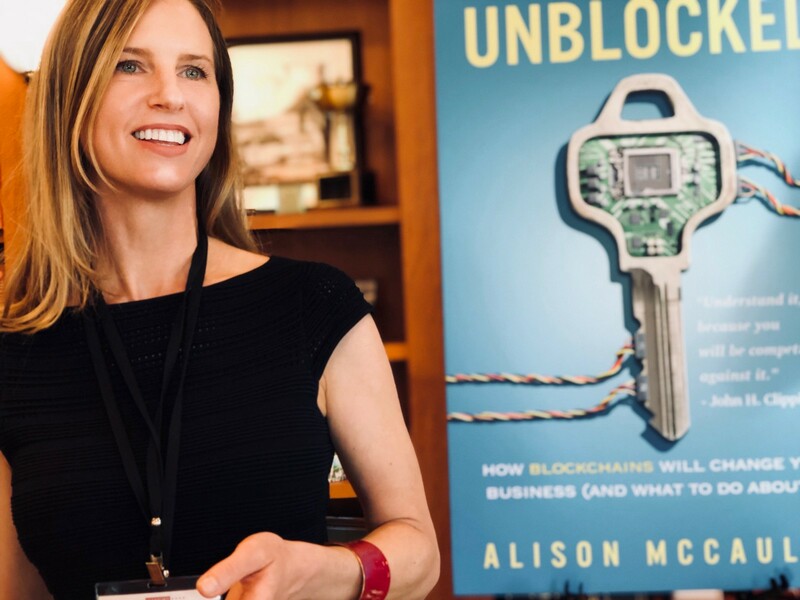 The book walks readers through the opportunity and risk of the blockchain era, and tells the stories, shares the perspectives, and paints the visions of pioneers that are working so hard to evolve it. To get there, I cut my client work, put my social life on hold, and sharply reduced my parenting standards. (Curious what your kids would do if you stopped making dinner or telling them it’s past bedtime? It’s not pretty). This is what it took to get to the focused space from which I could explain the seeds of change buried in this technology, and in a way that any business person can understand — no technical knowledge required. My hope is that my work will help more people reflect on these big questions. It is written for people who are new to the space, but early readers in the blockchain community report to me that this book provides helpful context for what they know in their gut, and is useful in explaining to others why what they do is important (I’ve had more than one ask if they could send the raw manuscript to their parents — the answer was of course, “yes, please!”). 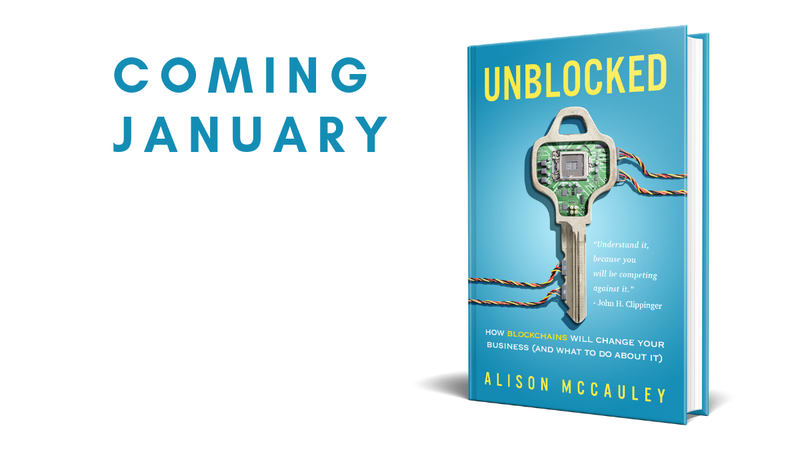 Unblocked: How Blockchains Will Change Your Business is available in January, 2019. Check out my site to learn more, and to get a heads up via email about launch. And please follow me for updates here on Medium, on Twitter @unblockedfuture, or LinkedIn. I sure appreciate if you would share this article with those that could benefit by knowing more about this space. If you enjoyed this article, feel free to clap many times. And thank you — it fuels my focus to write!!! Connect on Twitter @unblockedfuture or follow me on LinkedIn. A social scientist by training, I’ve devoted my career to driving behavior change in new technology markets. I have helped entrepreneurs and business leaders with the adoption and communication of emerging technology for over two decades. I believe that blockchains, their family of related technologies, and a decentralized future represent an opportunity to remake foundational systems — and with that opportunity comes great responsibility. 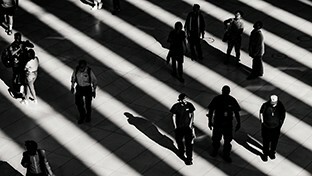 I write to encourage thoughtful strategy and conscientious execution in these critical early days of this technology. Are Gamers Poised to Shape the Blockchain Tech World?